The ball sort of pinged around aimlessly before it found Coutinho, who just said ah hell with it and blasted it home. Brazil look absolutely terrifying in the first half of this match. They absorbed a spirited start from Switzerland, and now they can’t be taken off the ball. 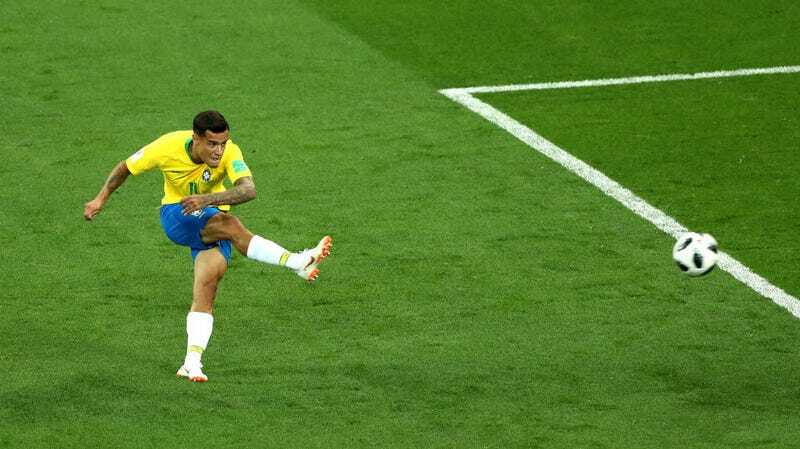 Coutinho’s screamer might be the first of many.